Encompassing more than 600,000 square miles of marine and Great Lakes waters, the National Marine Sanctuary System protects coral reefs, fish populations, migration routes and thousands of shipwrecks. The system is managed by NOAA’s Office of National Marine Sanctuaries and consists of 13 national marine sanctuaries and the Papah?naumoku?kea and Rose Atoll marine national monuments. Shipwrecks have a meaningful role. 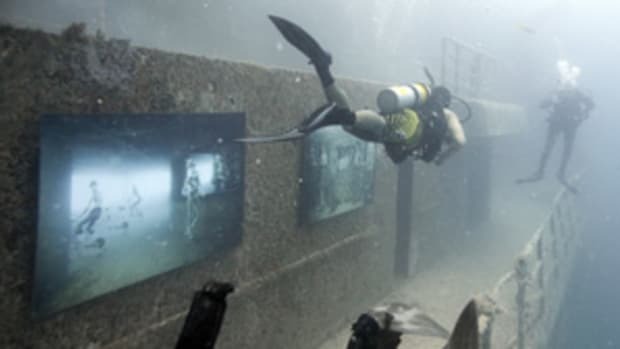 They provide information about maritime history, they have a special meaning for the family members of lost crewmembers and the remains of sunken vessels provide homes for marine life. To preserve and protect biodiversity, historical connections and economic productivity within the sanctuaries, NOAA facilitates research projects and education programs and regulates the activities, such as tourism, recreation and fishing that can occur in a sanctuary.